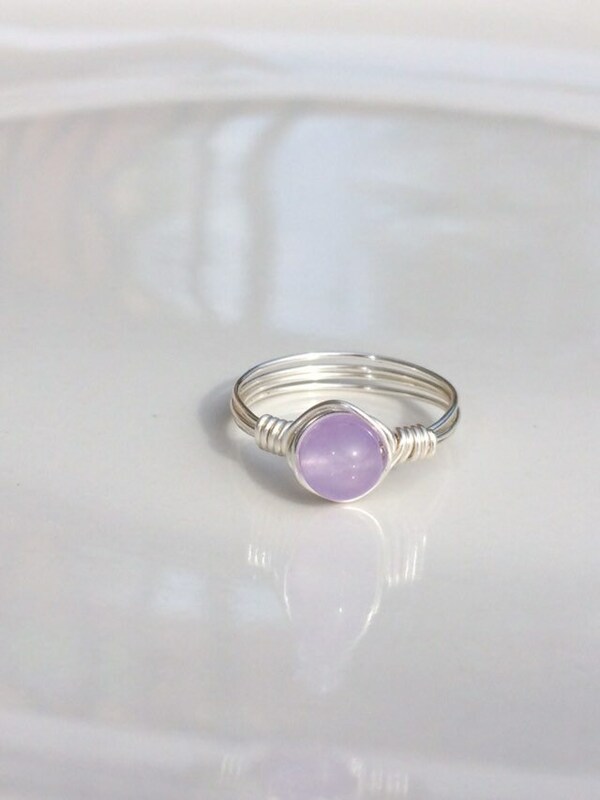 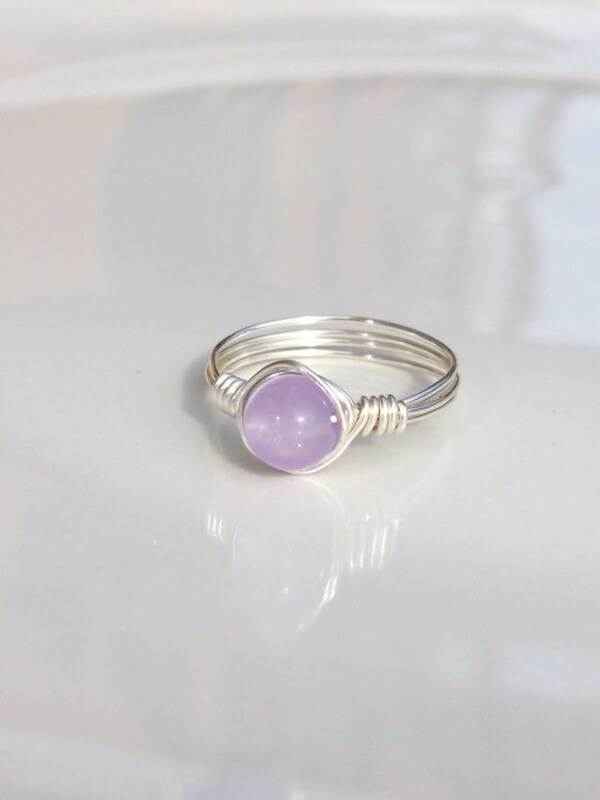 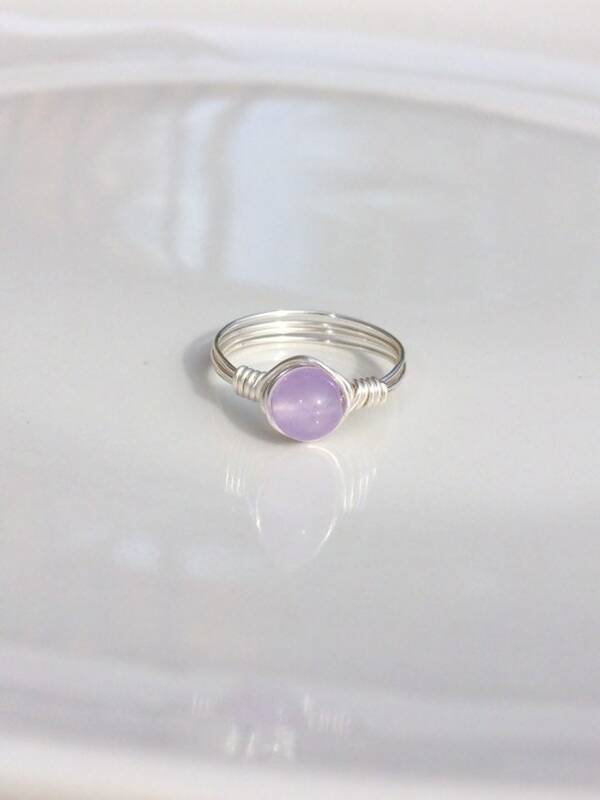 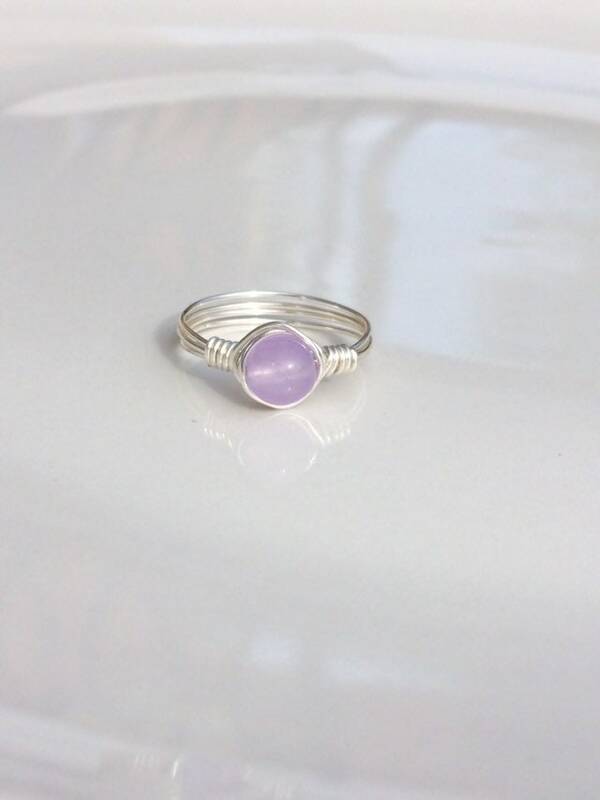 You'll love this beautiful chalcedony gemstone ring! 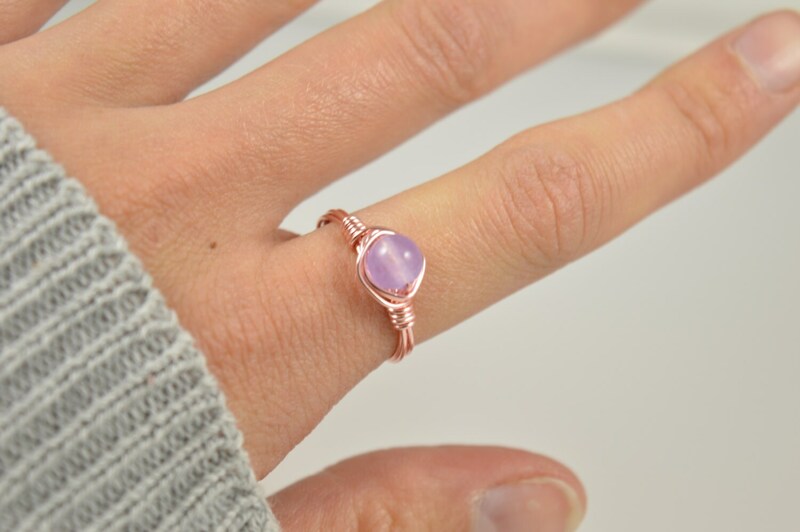 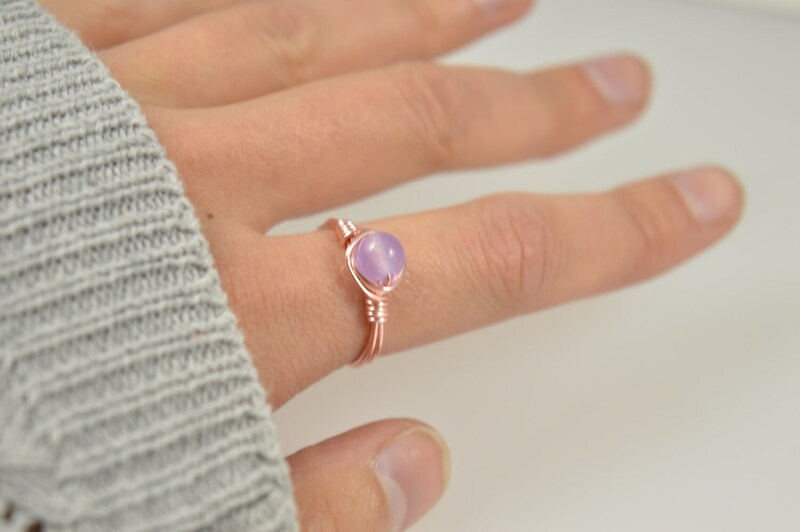 It has a light purple chalcedony gemstone bead wire wrapped in your choice of plated, 14k Gold Filled, Sterling Silver, or 14k Rose Gold Filled. 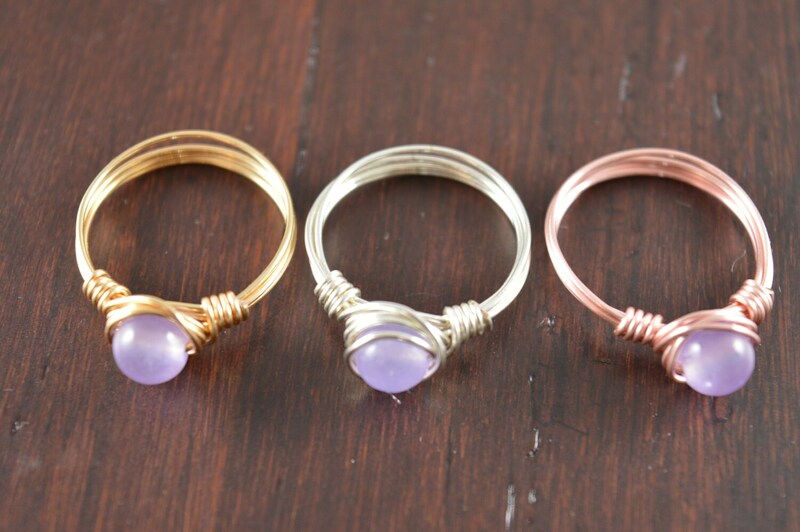 Select your size from the drop down menu.